This dessert, yet simple to make, expresses the delicacy of Moroccan cuisine and the art of mixing flavors and exploit the wealth of local agricultural production. 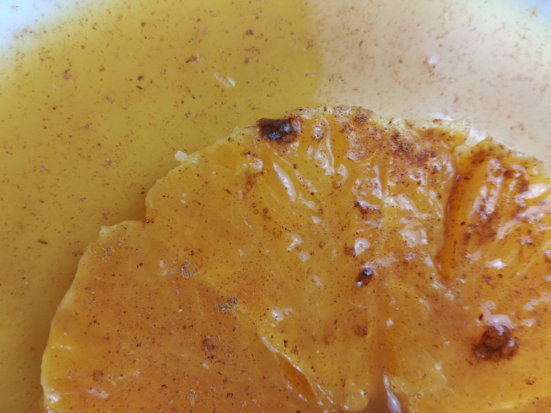 The dish consists of cut orange slices, drizzled with orange flower water and sprinkled with sugar and cinnamon. The preparation is done before sitting down to eat, we reserve it in the refrigerator (to let disseminate aromas of cinnamon and orange blossom) and served cold as a dessert. 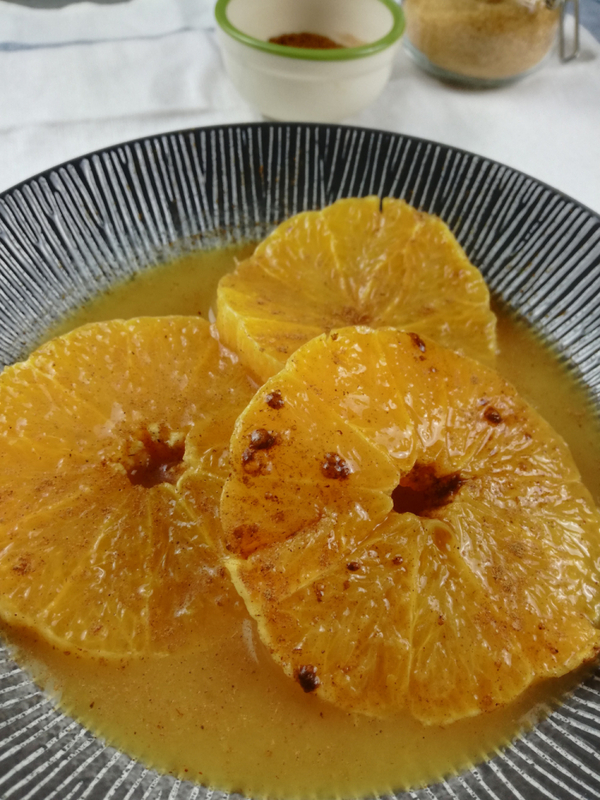 The juicy and sweet oranges from Morocco are certainly a great asset to achieve this dish. Surprising as it may seem, the green salad is used in a sweet dessert.